“Rhetoric is a dangerous yet useful craft.” I told him. Familiarity with rhetoric can be quite practical since it is similar to advertising or, say, stage magic. All these crafts are composed of techniques, tricks and cunningness. Those who learn even a few basic tricks of stage magic will never be as gullible yet could still enjoy and appreciate a good performance. Knowledge of rhetoric is similar, students learn different techniques of oral motivation, persuasion and manipulation and in that process will hopefully be immunized against manipulations and trickery. “Rhetoric is a dangerous yet useful craft, learn its tricks, but never lose your integrity.” I asked of my son. Ultimately all rhetoric can be boil down to this simple premise: Telling people what they want to hear so that they are moved to do what the speaker wants them to do. I hope my son listened, after all he ended up studying physics and not humanities. This Sunday in church we will talk about modes, misunderstandings and dangers of biblical rhetoric. After the Orlando tragedy I instantly knew that this Pride Sunday I must deal head-on with our very own Christian “Satanic Verses” and their homophobic rhetoric. On Pride Sunday we will try to undo biblical homophobia and liberate ourselves from its dark legacy and curse. Even in the Bible, rhetoric can be a dangerous and dark craft. On the background of this poster is a facsimile from the Codex Sinaiticus, one of the oldest Greek codices. 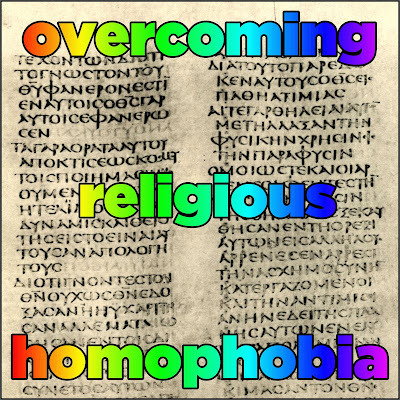 The homophobic “Satanic Verses” from Romans 1 are in the upper right corner. In 1987 I was standing in a crowded hallway of the Courthouse in Prague. I was there with a large group of protesters to attend a process with a group of jazz musicians. They were in court for a “criminal act” of organizing jazz concerts without prior authorization, and for publishing books and magazines about music without permission from censors. Our crowd could not possibly fit into the courtroom and even the long hallway was almost blocked. At the end of the process the “criminal musicians” were given unsuspended jail terms of up to 16 months. No protest chants were allowed in the courthouse so we thanked them for their defiance and bravery with an improvised yet most elaborated, truly jazzy, applause which I have never heard before or after. This and similar experiences of perverted justice shaped my understanding of the justice system. The aging totalitarian regime with its flimsy legitimacy exposed the deep and universal truth about any justice system - it is nothing else but our human construct. Even in democracy it is so, as much as we would like to pretend otherwise. In 2016 America we might not live under totalitarian regime, but the degree to which our society is racist, sexist, politically or socially corrupt, the justice system is bound to reflect these realities and, unfortunately, all can witness it in our policing, courthouses, jails and prisons. 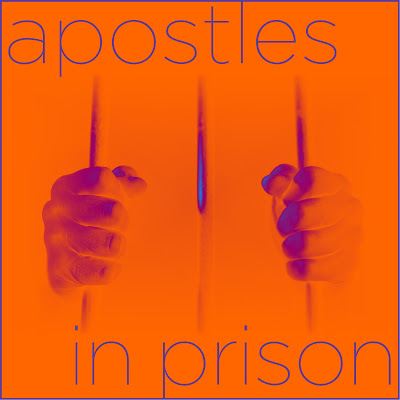 Biblical prophets and apostles (not to mention God Godself) are calling us to raise our voices in protest of disproportionate incarceration and unjust treatment of racial, ethnic, religious, gender and social minorities. Human justice always has been and always will be our imperfect human construct in need of prophetic and apostolic challenge and reform. Throughout the history many outstanding people of faith spent time behind bars and thus demonstrated the limits of human justice and challenged its merits. 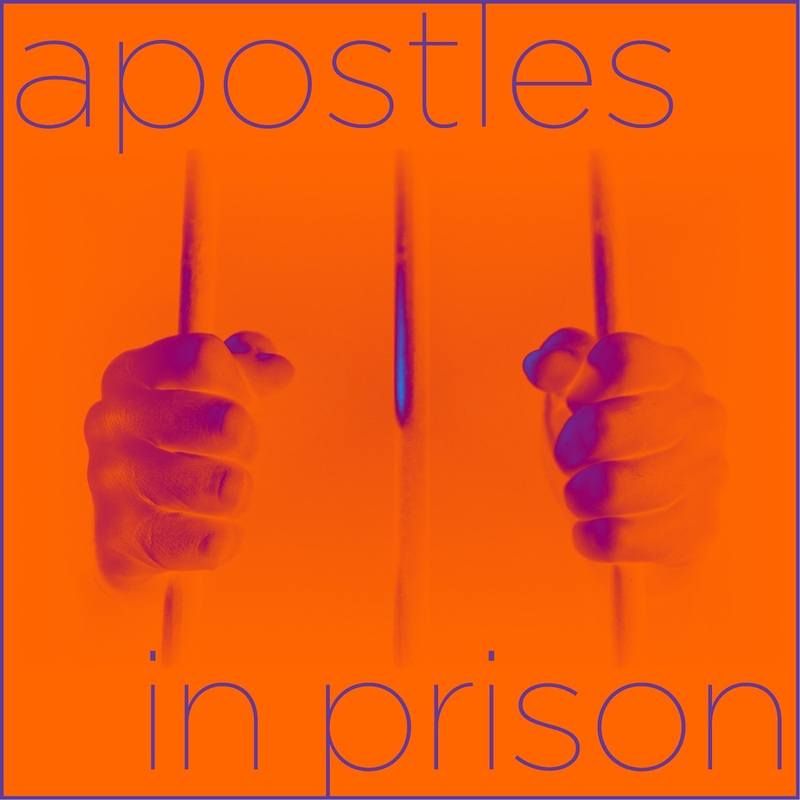 Apostle Paul will lead us this Sunday to question, to challenge, to protest as we mark June, the Torture Awareness Month abroad and in US prisons. This Monday I traveled to Cornwall in Connecticut, a short two hour drive from Manhattan. 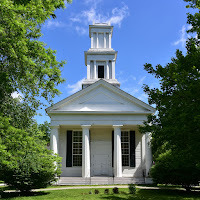 I visited this picturesque and forgotten corner of Connecticut because of my interest in Hawaiian religion and history. 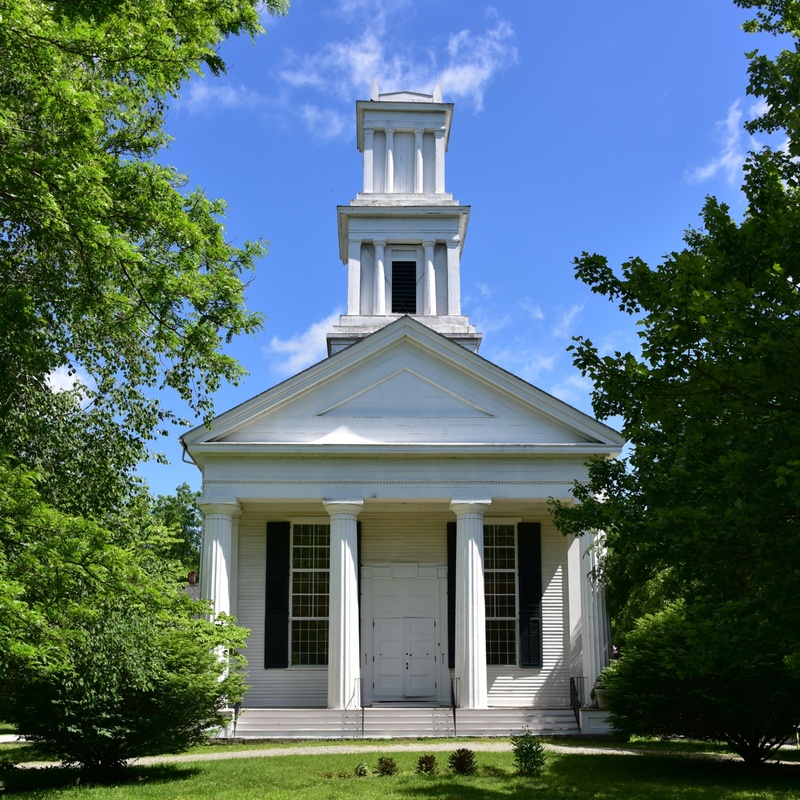 In this small town there used to be, in the early XIX century, a famous seminary operated by the American Board of Commissioners for Foreign Missions. 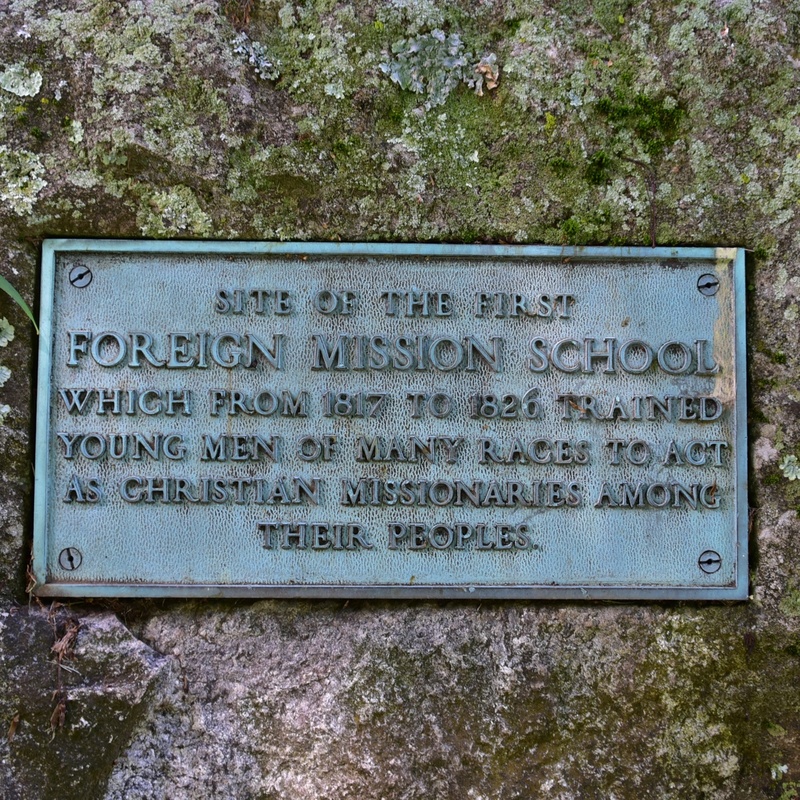 The New England Evangelicals trained there a small group of young men from all over the world (Native Americans, Bengali, Chinese and also Hawaiians and other Polynesians) to be missionaries to their respective nations and tribes. 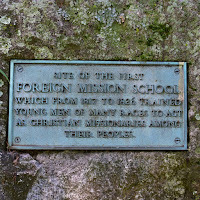 The core idea behind the school was surprisingly thoughtful for its time - the native people were recognized as the best messengers of faith and excellent interpreters (translators) of Christianity to their own people. 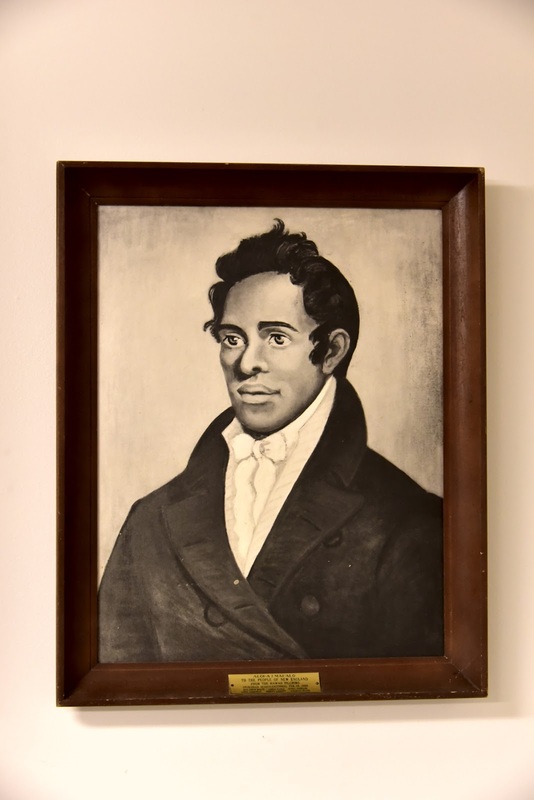 Unfortunately there were a number of problems attached to this good idea: New England Congregationalists and Evangelicals infected these young men with one of the most intolerant and narrowminded strains of Christianity. They also intentionally indoctrinated them with western cultural exceptionalism. And all this endeavor (as laudable as it was in some of its intentions) was built on the swamps of latent New England racism. probably the most famous student. Evangelical parishioners were moved to tears when listening how the young native men escaped wild heathen rituals and idolatry. New Englanders loved to hear about distant lands and strange peoples with their bizarre pagan rituals. Parishioners applauded their guests’ brave escapes, especially if some of the storytellers had run away from grave dangers, allegedly even human sacrifice. Evangelicals rejoiced in eloquent recounts of their sincere conversions to the only salvation found in the “blood of Jesus”. In Cornwall they offered to these young men generous hospitality. But then two students fell in love with local girls and went to marry them. And all hell broke loose! Cornwall erupted; effigies of those couples were burned. Supportive and more open minded clergy married them anyhow. But soon afterwards, without the local support, the school was closed and dissolved. The official explanation for the closing of the school was, and remains till now, that the harsh Connecticut weather was not suited for the natives coming from warmer climates. And indeed a number of students died there, I personally visited Cornwall in order to find the original resting place of Henry Opukahaia from Hawaii. But of course young men did not die of climate, but of typhoid, tuberculosis and the like. It was a dark foreboding for Polynesians who would be soon won over for Christ and sent to heaven in large numbers. Same western missionaries were eagerly spreading their version of Christianity together with western infectious diseases. But that will be another story. In utter disbelief and bewilderment my European friends keep asking me about Donald Trump. 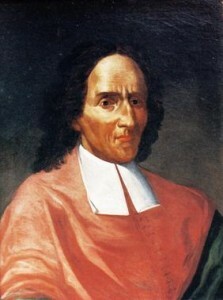 I point them to Giambattista Vico, a virtually unknown but greatly influential Italian thinker of early enlightenment. In 1725 Vico published his “Principi di Scienza Nuova” Principles of the New Science and thus initiated a whole new discipline of philosophy of history. According to Vico, civilization and its political structures follow a recurring cycle (ricorso) of three ages: the divine age, the heroic age, and the human age. The divine age can be equated to what we would call tribal societies, the heroic age to monarchies and the human age to democracies. An integral part of Vico’s insight, his “New Science”, was an observation that each age was characterized by its own tropology (figurative form of language) and consequently epistemology (modes of understanding). Metaphors were characteristic for the divine (tribal) age, metonymy was instrumental in the heroic age (feudalism), and the age of man (democracy) was characterized by irony. Having studied bronze age myths recorded on cuneiform tablets, I easily recognized gnoseological power of metaphors for that particular age. And hailing from Europe - steeped in medieval history and peppered with impressive castles and cathedrals - I innately understood the life-organizing principle of metonymy and synecdoche in age of feudalism. But I always struggled with the irony as a prevalent principle for the age of democracy. For me, democracy was a rational system verging on scientific, exactly like Vico described it. I could appreciate the quintessential function of irony (this all-questioning principle) for science as well as for a healthy democracy. But I could not fathom how irony, as vital as it was for science and democracy, might become corrosive and lead to social collapse and a return to barbarism. This year and this electoral cycle in the USA have opened my eyes! Irony, or perhaps its twin sister Parody, or even better their cousin Farce, has already put on stage an ignorant clown and with him a great and real danger of “ricorso” with its dissolution of norms and return to barbarism. Thus Scienza Nuova, this three millennia old New Science, gives us something to think about. Perhaps we should dust off old myths and familiarize ourselves with ancient metaphors; the divine age might be fast approaching.